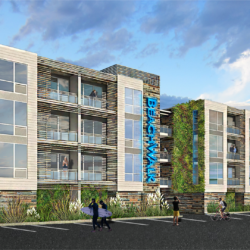 This new boutique hotel designed by Tokarski Millemann Architects was recently approved for a site on Ocean Avenue in Sea Bright, New Jersey. Working with Mahwah School District, Tokarski Millemann Architects has designed a new Science, Technology, Engineering, Arts and Math (STEAM) Program Building Addition. On the site of their existing High School Campus, the design features multi-purpose labs to support the curriculum developed by the staff. Tokarski Millemann Architects performs services for new restaurant concepts. Bringing their design experience from traditional restaurants and Quick Serve Restaurant (QSR), TMA can assist you with everything from kitchen design, to architectural design to graphic design. A new multifamily apartment complex was designed for our client in Jackson, New Jersey. The 192 unit complex is comprised of one and two bedroom units. Tokarski Millemann Architects has delivered three stores for Metro PCS including Ocean County, Woodbridge Mall and Menlo Park Mall. The projects consisted of a tenant fit-out for a new mobile phone retail store. This renovation on one of Princeton Avenue’s premier properties is an extreme makeover. We added a second floor to the entire house and transformed the style of the house from Polynesian to traditional. The five bedroom, four bathroom addition added 4400 s.f. A soaring two story great room was created and the entire first floor was renovated. This addition and renovation transformed the existing walk-out ranch to a modern estate with prairie style influences. This home sits on the bluffs of the Metedeconk River off Princeton Avenue. The addition added an entry foyer, game room, library, bedroom, master bathroom, a guest bathroom, a two car garage, laundry room and basement. The existing waterfront bungalow was gut renovated and a new addition was added to the side of the house to incorporate a dining room and sun room on the ground floor and a master bedroom, bathroom and study on the second floor. The exterior uses traditional cedar siding that is ‘stripped‘ away to reveal a wall of windows, as the back of the house is exposed to the water and the view. Several years later, Tokarski Millemann Architects was commissioned again to design a 2500 s.f. addition. The addition adds an eat-in kitchen area, playroom, three bedrooms and living quarters for an au pair. The lower level walk-out basement of this three story house adjoined the pool and patio. The family wanted a lower level kitchen, family room, bathroom and exercise room to enhance the house’s functionality. Kitchen cabinetry and countertops by Mark Arthur of Ideal Kitchens in Point Pleasant. The existing cinder track and natural turf field was well past its life expectancy and in need of replacement. In addition, the track dimensions did not meet the National Federation of High Schools criteria for a championship meet track. After reviewing the alternatives with our firm, the Mahwah Township Public Schools decided to specify a synthetic turf field with a regulation urethane track running surface. The synthetic field incorporates provisions for Football, Soccer, Lacrosse and Field Hockey. The Track can accommodate State sanctioned meets, has an eight lane straightaway for sprint event, a double wide long jump/triple jump pit and a double ended pole vault which allows the coordinator to select approach based on wind direction. The $2,000,000 project was completed in June 2007, giving Mahwah Township Public Schools a low maintenance, state of the art Track and Field facility they will enjoy for many years. The Mount Ephraim School District needed to meet the requirements of their growing student population, provide in-district special education and address accessibility issues in their schools. A 30,000 square foot elementary wing addition including a new Library, Classrooms, Gymnasium, Art and Music Rooms was constructed to house the primary function spaces while renovations to the existing facility allowed the construction of new Pre-K special education and special education classrooms. To address the accessibility challenges at the Middle School, a new elevator and lobby were constructed to bring the 1930’s structure up to current accessibility codes. The project was undertaken while an Associate at the Thomas Group. This new state of the art automotive repair facility was designed to meet the historical review commission’s guidelines while creating a technologically advanced facility. Sustainable design was incorporated in the use of reclaimed waste oil heat for the building, as well as, a reclaimed water car wash. The facility holds eighteen service bays and a separate Quicklane facility for quick repairs and maintenance. Tokarski Millemann Architects was hired by the Township of Lakewood to provide investigations and recommendations for existing roofing installation problems on their Minor League Baseball Stadium. After providing options and cost estimates, we prepared Construction Documents and provided Bidding and Construction Administration Services. The existing automobile showroom was outdated and the service building underutilized. Together with the Owner, Tokarski Millemann Architects provided design services to transform the two buildings to modern, efficient facilities. The 6,500 square foot signature showroom renovation includes replacement of the storefront glazing system, all interior finishes, offices, customer waiting area, restrooms, and three (3) service bays. The 4,300 square foot service building renovation includes the addition of four (4) service bays, a retail parts counter, a technical parts department and an employee lounge. An existing 20,000 s.f. building was renovated for a Central Jersey Furniture Chain. The existing front wall was removed and a new brick and stucco facade was created. A large freestanding sign was also designed to attract customers along Routes 1 & 9. The owner has subsequently transformed his business and this store into an Ashley Furniture store. We are not endorsed by or affiliated with Ashley Furniture Corporation. This existing home located one block from the ocean, was expanded with a new front dormer and covered porch to create a new look to the older home. The interior was completely renovated to include a kitchen design based on the movie, “Something’s Gotta Give”, as well as, improving traffic flow throughout the home. This new home sits on the intersection of two lagoons in the Silverton section of Toms River. The two and a half story Mediterranean Villa has an open floor plan, radiant heat, smart home system and a roof terrace for taking in the views. This project was a transformation of a mundane ranch in the Lake Riviera section of Brick, New Jersey. The client had a few years of architectural school in his past but had changed majors along the way. This project explored a modern design aesthetic to this lake front home. Tokarski Millemann Architects employed the use of aluminum composite panels along with mahogany and stone to create a playful modern aesthetic. 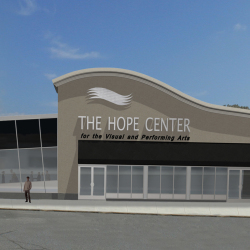 These renderings represent the design exercise which at this time has yet to be constructed. 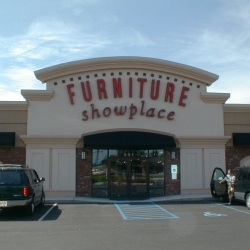 This new retail furniture location for Ashley Furniture HomeStores of Central NJ is located on a pad site at the Freehold Mall in Monmouth County, New Jersey. Facade modifications along with interior tenant fit-out was part of the extensive renovation. A new building was constructed for a new 7 Eleven and associated gas station. This new concrete plant was constructed on the Raritan River in Keasbey Section of Woodbridge Township. The new plant was enveloped in a one hundred foot tall pre-engineered metal building. Tokarski Millemann Architects along with French and Parello Engineers assisted the owner with the design and coordination of this multi-building facility. Tokarski Millemann has been working with Bubbakoo’s Buritos, Ocean and Monmouth Counties fastest growing Fresh-Mex brand as their corporate architects completing four of their locations including Brick, Toms River, Bayville and most recently Jackson. The East Dover Fire Company has hired Tokarski Millemann Architects to assist in facade finish upgrades and structural analysis of parts of their building for a FEMA flood mitigation grant project. This Bay Head Dutch colonial suffered dearly during Superstorm Sandy. Tokarski Millemann was hired to rebuild and elevate the oceanfront home.